It's safe to say that Zack Snyder's "Man Of Steel," despite a mediocre reception from fans and critics, revived Superman and the greater DC Universe in a pretty profound way. Not only did the film earn a killing at the box office (quality be damned! ), but it brought Superman into modern pop culture in the same way that Marvel has done with Iron Man and Co., or even that Christopher Nolan did with Batman. Superman, and through him his list of adversaries and co-super people from comic lore, is everywhere. It started with the announcement of a much-expanded "Man Of Steel" sequel, which we covered quite some time ago and has since become a clearer picture. 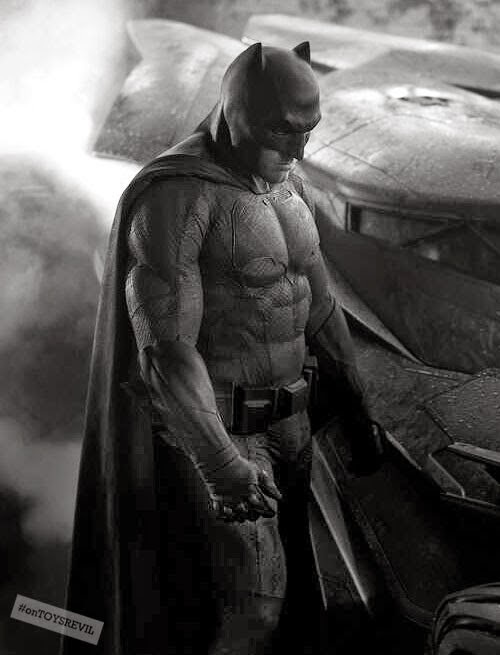 We now know that Ben Affleck will play Batman in the sequel, and that it will essentially lay the groundwork for a Justice League film to rival Marvel's lucrative Avengers series. IMDB also shows Jason Momoa (known best as Khal Drogo from HBO's Game Of Thrones) will be playing the role of Aquaman, and Gal Gadot will bring Wonder Woman to the screen. That's quite a few exciting developments for comic fans who like seeing their beloved characters on screen, and it's all because of a film that really wasn't as great as it should have been. The post-"Man Of Steel" excitement has also led to an increased presence for Superman in the world of gaming. While there has yet to be a major Xbox, Playstation or Nintendo film crafted in the aftermath of "Man Of Steel," characters from the Superman saga have begun popping up in some of the most widely enjoyed genres of gaming. The InterCasino online gaming platform is featuring a game called "Superman: Last Son Of Krypton," bringing some of the action of the Superman comics to the online casino genre. Players can wager real money, but this is one of many instances of late in which an online casino has used a popular character to add a new dimension to games. Additionally, "Man Of Steel" and the Superman comeback in general have spawned a few pretty engaging games for mobile devices, with the official Warner Bros. game standing out as the best. Where "Last Son of K rypton" is especially interesting, however, is how it has more to do with the comics and less with the films. Typically, it's the other way, but this could mean there's just as much interest as Superman on the page as there is on the screen. Anyway, all of this has been great for Superman and DC fans, but in the past week or so news has started to break about an even bigger development that further confirms the imminent branching out of DC's film universe into various side-stories from comic history. 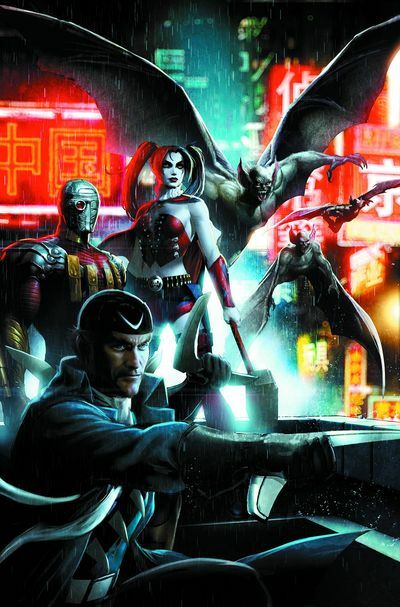 Specifically, a "Suicide Squad" movie is on the way! 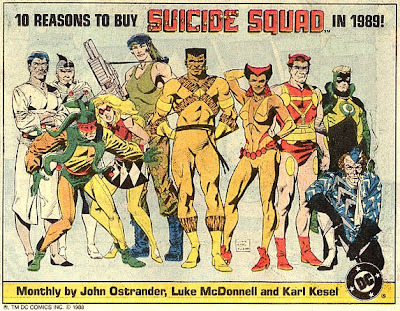 For those unfamiliar with this corner of the DC Universe, the Suicide Squad is essentially a team of antiheroes. It's a group of captured super villains used for high-stakes secret missions for the U.S. government (that maintains deniability for the Suicide Squad's actions). It's an endlessly fun branch of the DC canon, and because villains seem to play such a major role in dictating people's enjoyment of hero films, it offers a major opportunity for some intriguing new characters. Very little is known regarding any potential plot specifics, and it will probably be some time yet before anything is confirmed on that front. However, with any hero collaboration film—particularly one that appears to be starting from scratch—casting is one of the most interesting phases. In this regard, we're starting to get a little bit of information on "Suicide Squad" (which is not an official title at this point). 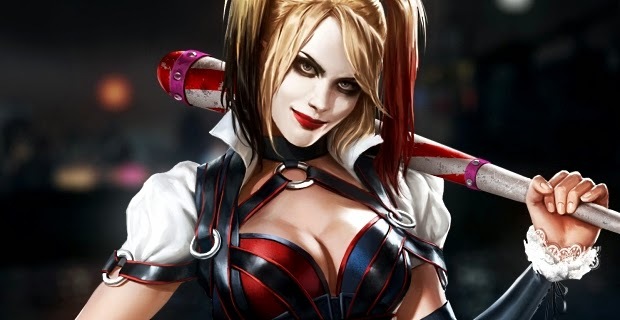 Cinema Blend recently revealed that Margot Robbie (you know her as the stunning newcomer opposite Leonardo DiCaprio in "The Wolf Of Wall Street") will play the role of Harley Quinn (the Joker's jester-like girlfriend). Additionally, it is believed that Jared Leto will be sought after to bring the Joker to the screen once more. That's a very tall order following the Oscar-winning performance and tragic death of Heath Ledger. Additionally, the likes of Will Smith, Tom Hardy, and Ryan Gosling have surfaced in rumours. It's not much to go on yet, but it's certainly an exciting prospect. Leto may be as good a pick as any to reprise the Joker, and who didn't want to see another role for Margot Robbie? Besides that, the Suicide Squad is just pure fun and has a great deal of cinematic potential. Stay tuned for more info on the coming film!